Does anyone have 'Right of Light' 3D model example I could have? 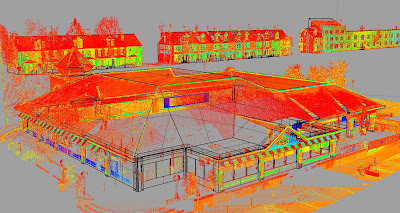 It only has to be one small building thats been modelled ready to go into the analysis software. Try speaking with one of the MBS team, either Charlie, Jason or David. I`m sure they will be able to send you an example 3D model thats used in their MBS Waldram Tools 'Right of Light' software application. Sorry I have only just seen this post. If you still require a part of a right of light model just let me know. Following on from Phil's comment regarding Rights of Light, in the first instance, please get in touch with me at derry@surveymbs.com for advice and information. Give me a shout if you still need a model Phil, I have models everywhere!